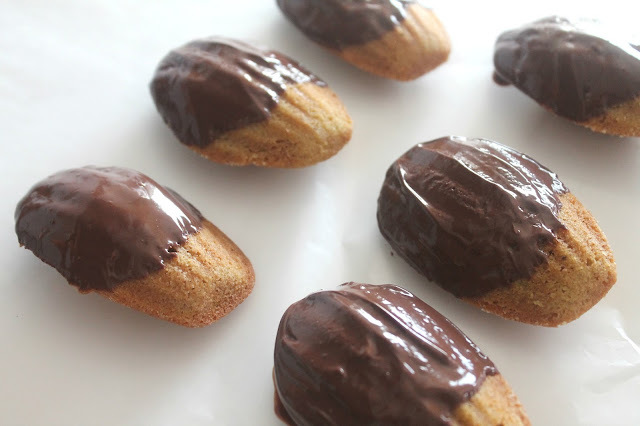 Madeleines, like macarons and petit fours, are beautiful and bite-sized, and you feel chic and delicate and very French when you eat them. And, like macarons and petit fours, I've always been a little intimidated by how complicated it seems to make them (they're considered cookies but they actually have a cake-like texture, and their signature shell shape comes from the special pan they bake in). To my delight, they were no more complicated than whipping up a batch of cookies or brownies. 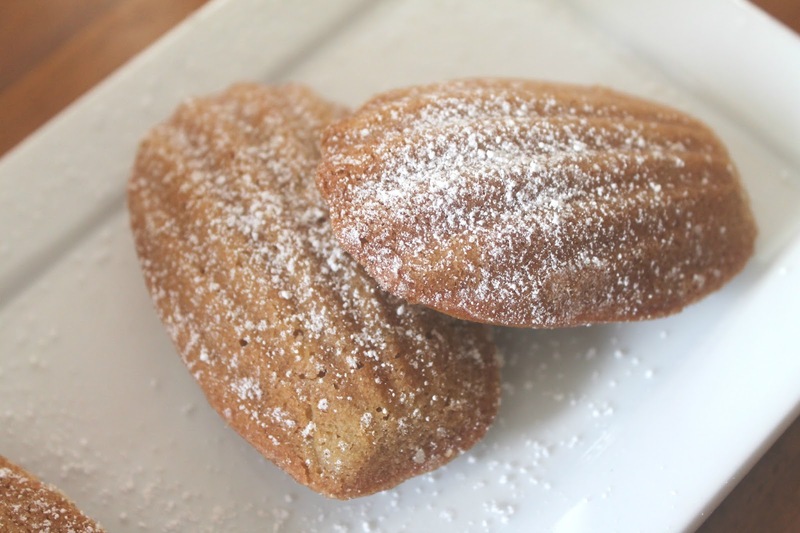 I found a recipe online, made a few adjustments since I didn't have everything the original recipe called for, and ended up with these slightly sweet, soft, and perfectly-shaped pumpkin madeleines. I dipped a few in melted semisweet chocolate (Oh. Em. Gee!) and dusted the rest with powdered sugar--both received rave reviews from my little girls (perhaps the harshest food critics I know). 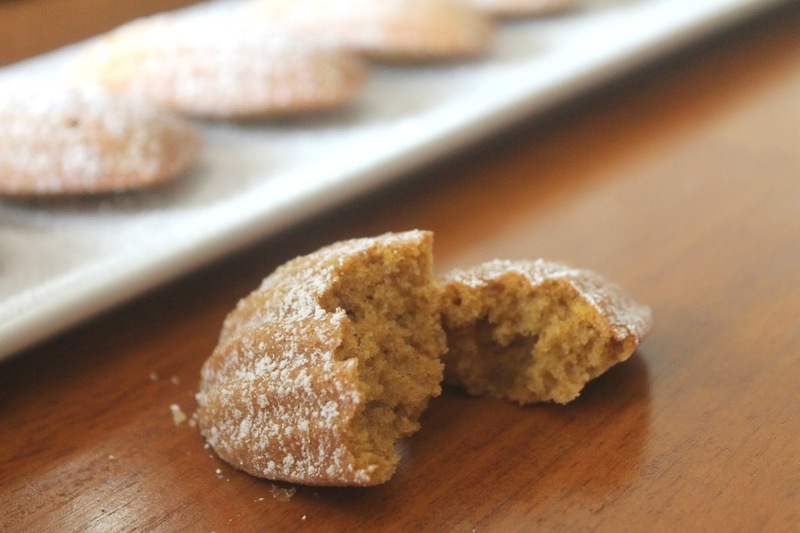 They're a nice accompaniment to morning coffee since they're not too sweet and don't interfere with flavored creamer, and thanks to their warm pumpkin spice flavor and lovely shape, they'll make a great addition to a Friendsgiving feast or holiday brunch. Preheat oven to 375° and prepare madeleine pan by coating the shells with butter and a light dusting of flour. Sift together flour, baking powder, salt, and spices, then set aside. Next, melt the butter and set it aside to cool. In a medium mixing bowl, beat eggs and sugars on medium high speed for 5 minutes, then add the pumpkin purée and vanilla and mix until incorporated. Now use a rubber spatula to add the flour mixture in thirds, gently folding to combine the ingredients after each addition. Add the butter in thirds, again folding it in gently to mix all the ingredients together. Use a cookie scoop or small ice cream scoop to evenly distribute the batter into the prepared pan, and bake for 12 to 15 minutes. 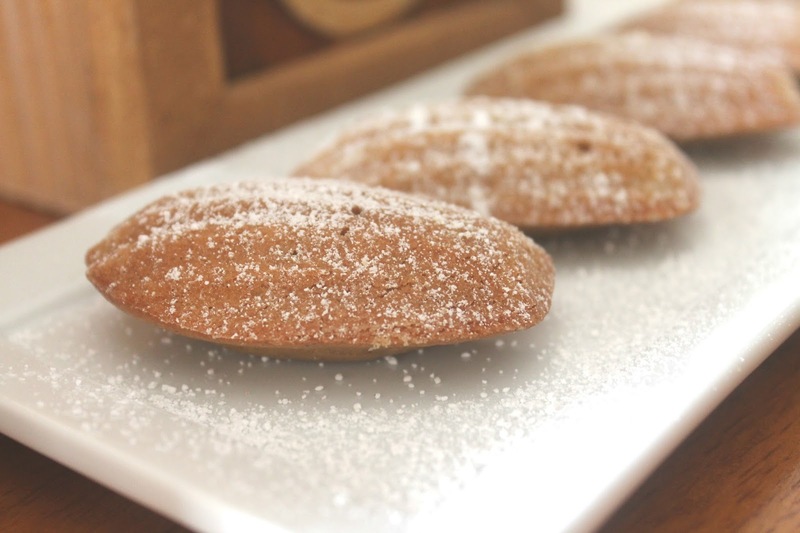 Gently nudge the cookies out of their shells with a butter knife and allow to cool completely. 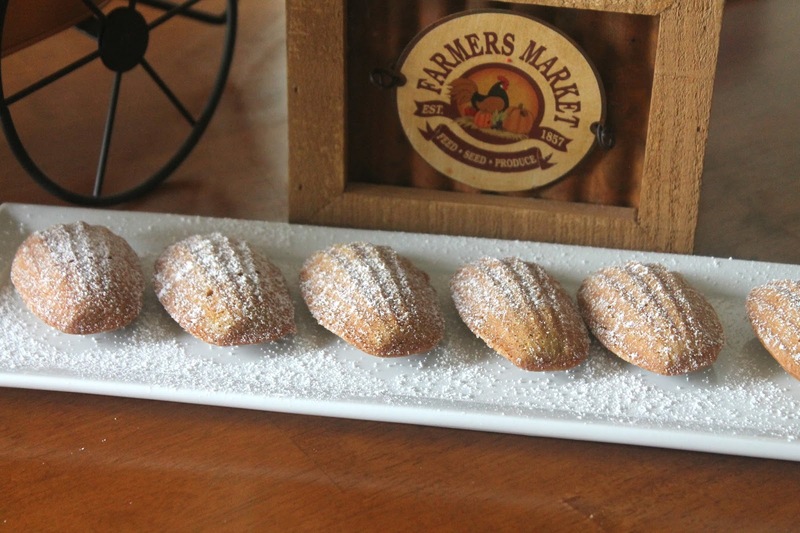 Dust generously with powdered sugar, or dip in melted chocolate. Enjoy!